DALLAS, TX / ACCESSWIRE / January 1, 2018 / EarthWater, Ltd.is the producer of premium mineral supplements including FulHum, a black water infused with a proprietary Fulvic / Humic mineral complex with 70+ trace minerals, +9 pH and loaded with antioxidants and electrolytes. It provides rapid hydration and optimal absorption of minerals for maximum benefit. In December 2017, EarthWater joined forces with Bo Marchionte, whose inspiring story of athleticism and dedication are sweeping social media. Bo, an avid runner, counting down in 2017 to his 20th year of running every single day since January 4, 1998, with no days off. Currently, on his third trip around the world covering over 50,000 miles, EarthWater is proud to join him in his efforts by providing products during his final countdown. EarthWater's holiday mission is to inspire everyone to turn 2018 into a Healthy New Year, starting from the inside out. "We believe in our products because we use our products, every single one of us. The power of minerals is undeniable and we all feel the difference when we drink EarthWater, and so do our consumers - Refreshed, replenished, rehydrated. When Bo reached out to us and told us his story, of running every day on a 20 year streak, we knew this was a great opportunity to partner with him to inspire others in a healthy direction," said CJ Comu, CEO of Earthwater. "It's a game-changer. Love the product," stated Marchionte. "An industry game-changed, manufactured by Mother Earth. Over the course of my 20 year running streak, no hydration drink has brought the best out of me like EarthWater. 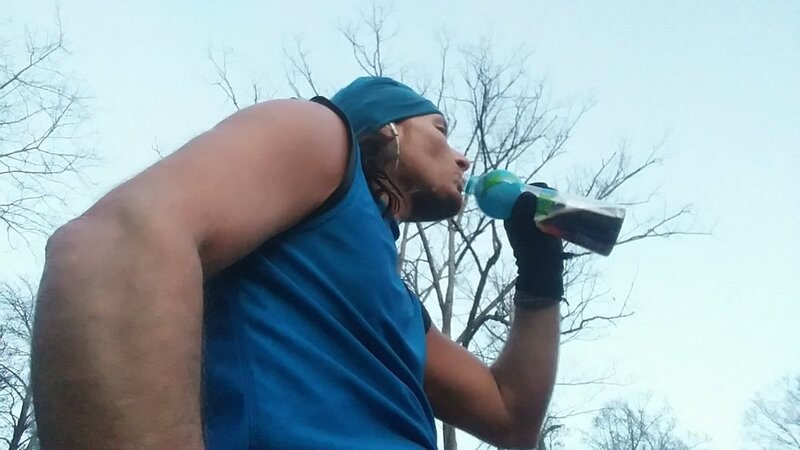 EarthWater provides me a top level of performance day in and day out, that never existed with other sport drinks. I love it. 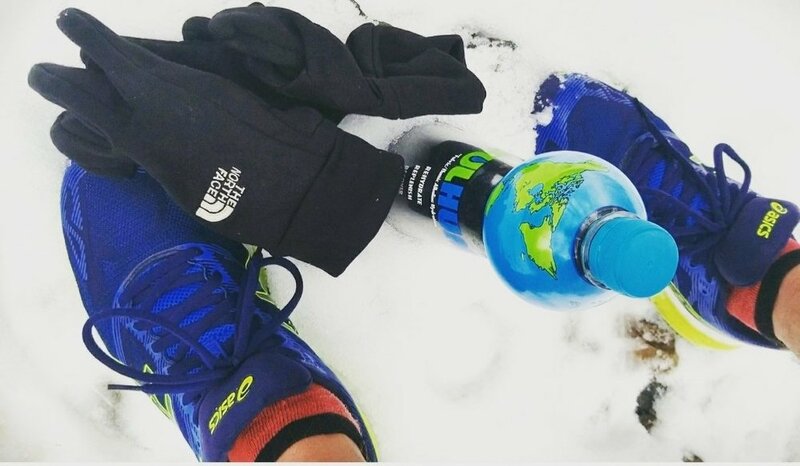 It has a great refreshing taste, zero sugar and all the natural nutrients that helps my body perform," he continued. "Popeye had spinach, and I have EarthWater. It does rehydrate, replenish and recover"
EarthWater frequently sponsors athletes in sports ranging from MMA, boxing, skateboarding and even climbing, providing them with mineral water and concentrates to help them recover and continue performing at a high level. EarthWater's mission is to help inspire and facilitate healthy, active living. You can follow along with Bo's continued running streak on Twitter @BoMarchionte and on Instagram @bo_knows_running. He is also frequently featured on EarthWater's social media @earthwaterhq and by Asics, his running shoe brand of choice. EarthWater Limited is a health and wellness company and manufacturer of Mineral Infused High-Alkaline Beverages. The FulHum and ZenFul brands use a 100% natural, proprietary blend of organic Fulvic and Humic complexes mined from deep within the Earth's surface. Fulvic and Humic minerals are believed to have properties which combat free radicals, and improve absorption of key nutrients. EarthWater is proud to have at its side a Board of Medical Advisors who utilize its products in their holistic approach to health and who advocate for the benefits of its natural list of ingredients. To engage with EarthWater online, you are encouraged to 'like', 'follow' and 'share' on the brand's social media pages. EarthWater inquiries can be made via email to info@earthwater.com. All Information and images are available to download in the EarthWater Press Lounge, https://earthwater.com/press/. For additional information, contact: pr@earthwater.com.